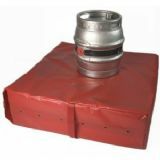 Keg and Cask Dray Pads/Mats These reinforced foam based dropping pads are designed to reduce the strain of lifting and dropping heavy items from delivery vehicles. 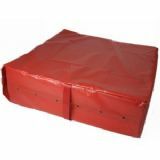 The tough heavy duty plastic cover is designed to reduce deterioration in damp, dark cellars. These pads can equally be used in other unloading applications.